Issue: I bought a spare SAS-9266-8i on eBay. When I plugged it in, it woudln't stop beeping and complained that its firmware is in fault state. This card clearly needed its firmware reconfigured. I've booted a FreeBSD live CD and tried to inspect the controller using mfiutil, but it couldn't do anything. I've tried to use storcli on FreeBSD but it couldn't see the card either. I've tried to use storcli on a EFI shell, but the executable didn't work: it froze instantly when I started it. I've tried to use the LSI Pre boot CD to flash the card, but it wasn't detected either by any of the tools. The key to reset the card was to use megarec. What I ended up doing was prepare a FreeDOS boot disk including megarec and its dependencies, and boot it. Then I could use the megarec commands to flash the card. Once rebooted, the card stopped beeping, which was very nice for my ears. The flashing went well, but once rebooted, the card was back in F/W fault state, destroying my ears again. That was the solution. Now the card is working perfectly. I could go into its config tool and setup my RAIDs. 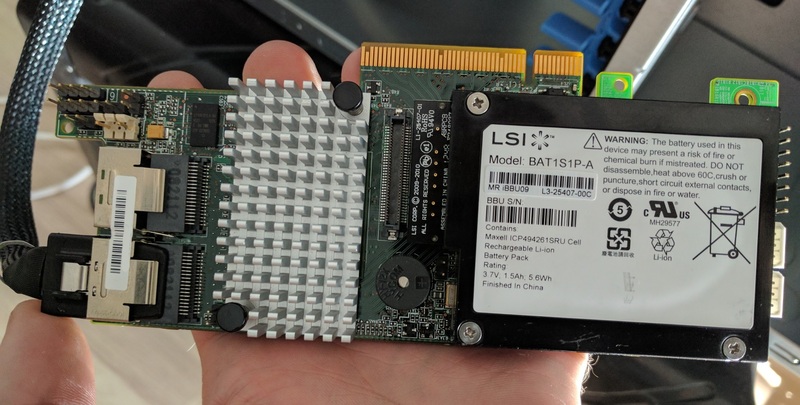 Serve the home Forums: Is there a way to restore an LSI 2208 after firmware update failure?